How often do you spoil your feet? Many of us don’t think about it but they are among the most hard working parts of our body. Due to how much stress we put on them during our daily routine, it is important that we exercise those muscles and relax them as well. One of the best ways to do this is with a quick foot massage. Since not all of us (okay, not even many of us!) have a trained massage therapist in the house, it is important that we keep different tools in our home to help give our feet that relaxing touch. To help relax my own feet, I was recently asked to review the Gaiam Restore Hot/Cold Foot Massage Roller – a cool new yoga tool that is perfect for a busy woman like me! Looking for a way to make your feet feel amazing? 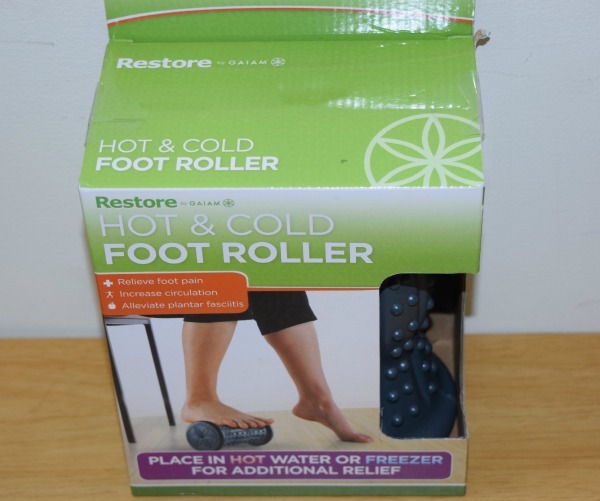 If so, we think you will love the Gaiam Restore Hot/Cold Foot Massage Roller. 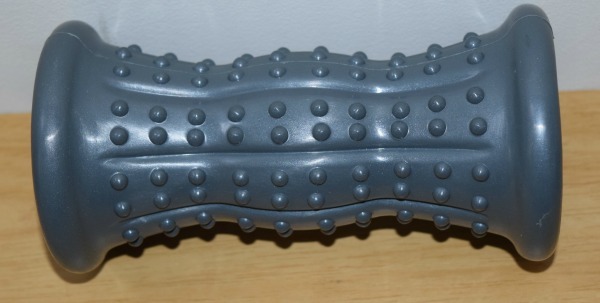 This roller provides extra relief to achy, tight muscles, and even heel spurs! just let soak in hot water for about 30 minutes, or put in the freezer for a few hours to enjoy to enjoy a relaxing, tension easing massage to pressure points on the feet. In the end, you will have feet that feel amazing and refreshed! I have to say that I really loved this foot massager. As someone who has very flat feet, it is common for me to have foot pain, especially if I’m on my feet all day or even go on a long walk. The texture gives your foot the perfect massage, especially if allowed to sit in hot water for some time. I personally don’t enjoy the feeling of cold on my feet, but after trying it I know it would be awesome from the freezer if I had a strain injury. Based on my own experience with this massage, I am happy to give the Gaiam Restore Hot/Cold Foot Massage Roller an A+ rating. Would you like to purchase this awesome foot massager for yourself? You can buy the Gaiam Restore Hot/Cold Foot Massage Roller on Amazon.com for $12.99. Disclosure: Budget Earth did not receive compensation but did receive products for review purposes. Budget Earth may, however, receive compensation through purchases from affiliate links in this post. All opinions on this product are my own, based on my experiences, and may differ from our readers’ opinions. This sounds amazing. The idea of having a warm foot massage sounds so wonderful. I wish I had it right now. The price isn’t too bad either. My feet always ache…this sounds amazing. Thank you for sharing. My feet took a dive 2 yrs ago. It started with my right great toe developing a huge bunion. Saw a podiatrist who told me I would need surgery but instead I opted for orthopedic insoles which leaves you with no shoe options other than tennis shoes. I can’t be on my feet for a few hours at a time and that depends on what foot hurts the worst. I’m going to give this gaiam a try. It can’t hurt.